The topic of when to talk the police or what to say the police when questioned is a hot topic on the Internet. Some people recommend that you never talk to the police, other people recommend asking the question, “Am I being detained?”, and others recommend that you should always talk to the police– either out of respect for authority or because not talking to the police makes you look guilty, like you have something to hide. Contrary to popular belief, the police are not required to be truthful or honest when speaking with or questioning anyone. 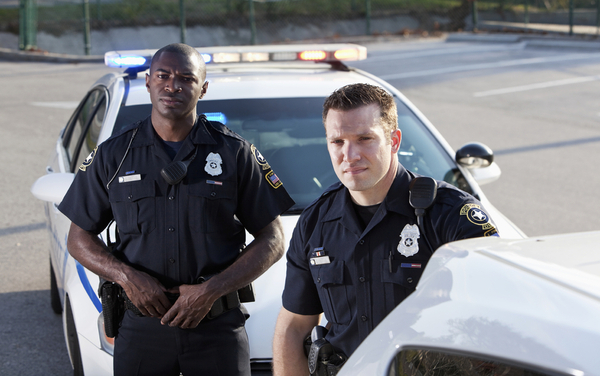 Contrary to popular belief, the police are not required to tell the person they are questioning whether or not they are a suspect, or whether or not they are under investigation for a crime. If you talk to the police and admit wrongdoing, that does not necessarily mean that you will not be charged with a crime, or that you’ll receive a better plea deal or lesser penalty. You are not required to talk to the police, and the fact that you decline to talk to the police cannot be later used against you in a criminal trial– provided that you’ve properly invoked your right to remain silent. If you decline to talk to the police, it’s no longer enough to literally be silent. Pursuant the Supreme Court of the United States‘ 2010 case of Berghuis v. Thompkins, you must affirmatively indicate that you are invoking the right to remain silent (e.g. “I’m invoking my right to remail silent). The best practice is to never talk to the police without an attorney or lawyer present. In addition to telling the police that you are invoking your right to silence, it’s also important that you ask them whether you are being detained or you are free to go. If you are free to go, do not speak with the police further and leave the area. Lastly, it’s very important that you tell them you are not consenting to any searches, and that you wish to speak with an attorney immediately. In an effort to get around statutory and constitutional rights, some police officers will attempt to suggest that any invocation of rights will make things worse for you. Do not be intimidated, do not be bullied, and do not be fooled. If you are detained– even if you are arrested– protect your legal interests by not giving up your rights. Maintain your composure, and consult with an attorney at the earliest opportunity.